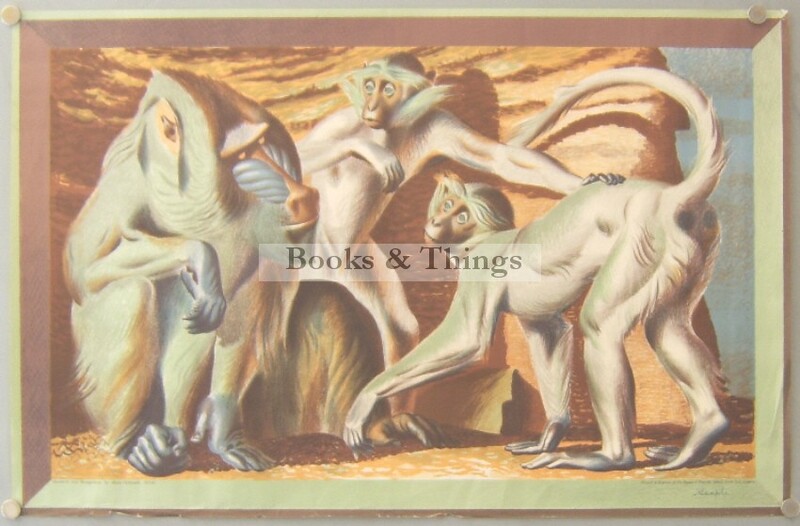 Hans Feibusch: Mandrill & Mangabeys. 760 x 490mm. School Print no.16. Printed at the Baynard Press. ‘Sample’ written in ink on lower right. Light folds & corner pin holes. This innovative series of prints by various artists was sent out to schools to help brighten classrooms. Category: School Prints. Tags: Hans Feibusch lithograph, School Print.